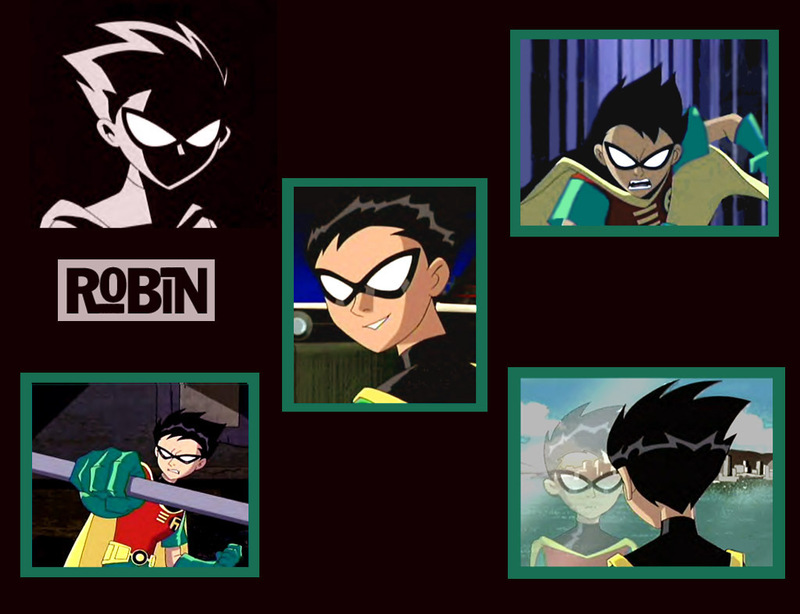 Robin. . HD Wallpaper and background images in the Teen Titans club tagged: teen titans teen titans robin. I adore Robin he is soooo cute!!! Cool,Sweet,Awsome,Tight I don,t know I like it. i like the pic in the middle. its dreameeeeeeeeeeee. I love Robin So much I cannot express it in words! those are really great pics i like the one in the middle and far right corner. the middle just makes me laugh and the corner because i tend to do that a lot iv made up a dream world and a nightmare world but i dont like the nightmare world but i cant help it. i can only come up withone conclution ROBIN IS HOOOOOOOOOOTTTTTTTTTTTTTTTT!!!!!!!!!!!!!!!­!!!­!!!­!!!­!!!­!!!­!!!­!!!­! i luv robin ever since i 1st saw the show!! hes so hot! I LUV ROBIN SO MUCH!!! !